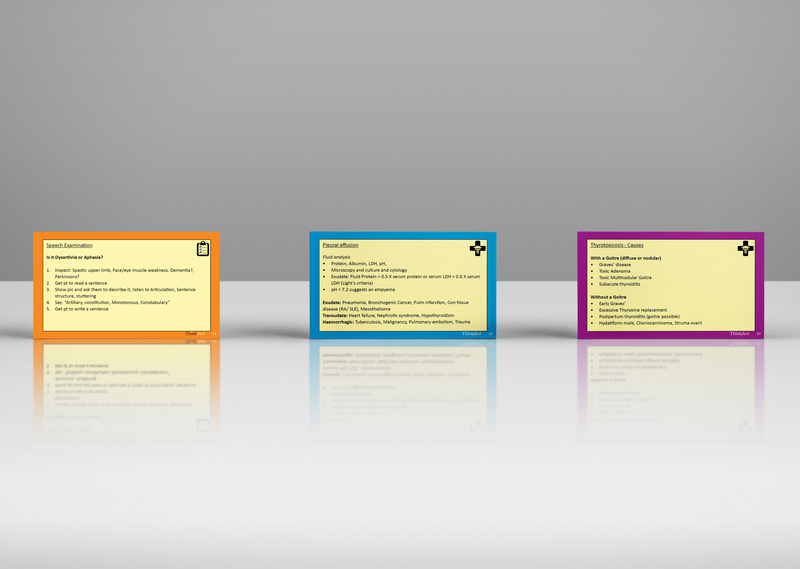 The ThinkFlash!TM cards are designed to complement study for the RACP Clinical Examination (set by the Royal Australasian College of Physicians). 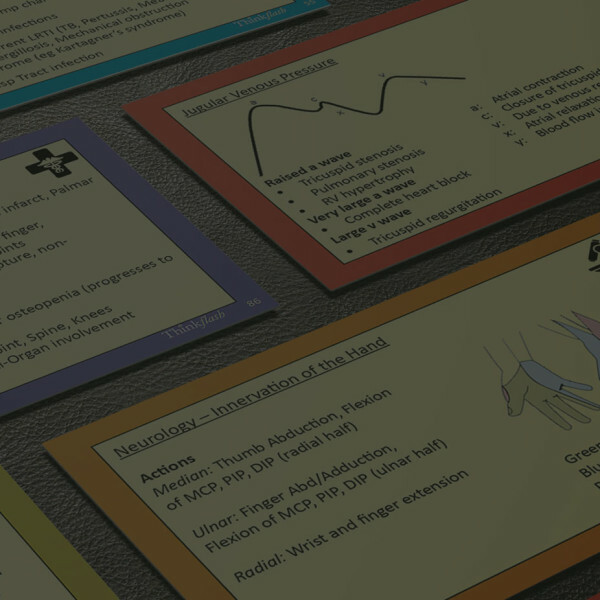 100+ cards cover all the major examinable subspecialities of Adult Medicine including Cardiology, Respiratory, Gastrointestinal, Rheumatology, and Neurology. 30+ Long case cards solidify key facts regarding each type of long case. Easter special – Free express shipping for all orders, Australia or New Zealand!